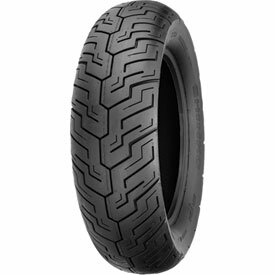 Purchased this tire for Fiance's 1300 to replace the Dunlop that was on there. She was "tickled Pink" from the ride and handling when cornering. She said the tire doesn't seem to track on grooved roadways. She would like another Shinko when its time to replace. I recommend this tire! Ride smooth it’s the only one we put on our bike! Great price on it to ! So far so good , I have had wet weather for a bit and it does just fine. t wait to see how my front tire performs. I would recommend Shinko. I would also like to commend Rocky Mountain for their fast ship time. Will this tire fit a 06 Yamaha Roadstar 1700 Silverado? BEST ANSWER: To see if this part will fit your machine please enter the make, model, and year into our "Choose a vehicle" drop down boxes found above the product image. If your machine is not listed, we may not carry the right item for your application. With tires you can also search by size. So if you know what tire size you need/want you can click on the size drop down box and see if we have your size available.